Reality star ‘proud’ of her strength. Khloe Kardashian is tired of fans judging her life with Tristan Thompson and their daughter True Thompson. The reality star took to Twitter to fight back against her haters. Click through for all the details! A user “Queen Persia” tweeted her feelings about Khloe’s decision to stay with Tristan. “I’m so disappointed [Khloe] stayed with that wasteman Tristan … she’s a hypocrite,” she wrote. Both Queen Persia and Khloe are of course referring to Tristan’s well-documented infidelity. In April, videos were released of the basketball star making out with another woman in a New York nightclub. At the time of the video’s release, Khloe was awaiting the birth of their first child at their home in Cleveland, where Tristan was a member of the Cavaliers. True was born a few days later. After the cheating news broke, the entire family unfollowed Tristan on Instagram and it was unclear whether Khloe was going to cut ties between the two. She decided to work on their relationship. The Good American designer spent a bittersweet first Mother’s Day amid reports that her family was angry she was keeping Tristan in her life. But things have been looking up. 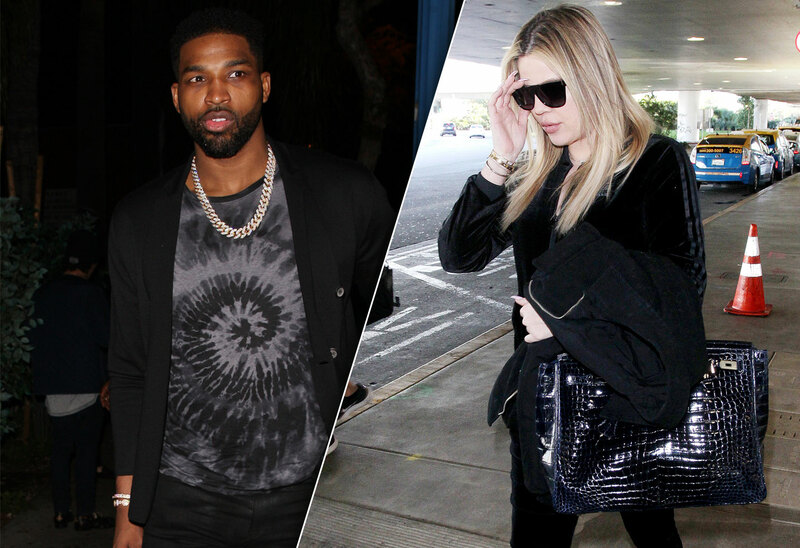 Khloe and Tristan enjoyed a steamy date night two weeks ago. Khloe was more positive in her reply as well. She wrote, “I love you for that and girl trust me don’t I understand!!! I appreciate you 💜💜💜I do!! 😘😘😘"
Khloe tried to end the day on a more positive note. “We are so blessed! 🙏 🙏 🙏,” she tweeted. This isn’t the first time Khloe has taken heat on social media for her decision to stay with Tristan Thompson. In May, she disabled comments on all her Instagram photos that featured him. What do you think of Khloe’s decision to rebuild with Tristan? Are you proud of her? Sound off in the comments!